The Pt100- temperature detector P-750 is ideal for measuring tasks that demand high precision or an option of online- documentation. The Pt100- temperature detector stands out due to highest accuracy of ±0.03 °C. You can eligibly connect the Pt100 or a multitude of thermal element types. The high measuring precision predestines this instrument as a reference device to check subordinated meters, e.g. QA laboratories as well as monitoring temperature-critical procedures. 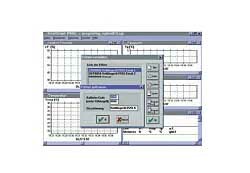 Ideal for service and production, for quality assurance in accordance to ISO 9000, as a reference device to check on fabrication, reference measurements in fields of services and for maintenance, for temperature recording in environmental technologies, for long-term monitoring of temperature and for online-documentation (sensors are not included in delivery, therefore please check optional equipment). Here you will find a complete overview of all thermometers. 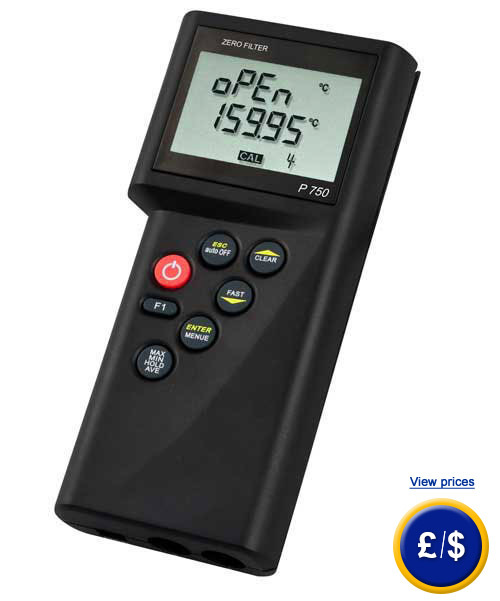 For further information about the Accurate Pt100- Temperature detector P-750, please read the following technical data or call our Hotline: UK customers +44(0) 23 809 870 30 / US customers +1-410-387-7703. Our technicians and engineers will gladly advise you regarding the Accurate Pt100- Temperature detector P-750 or any other product in terms of regulation and control or scales and balances by PCE Instruments. combination with sensors from Pt100 type. - ISO calibration optional purchasable.